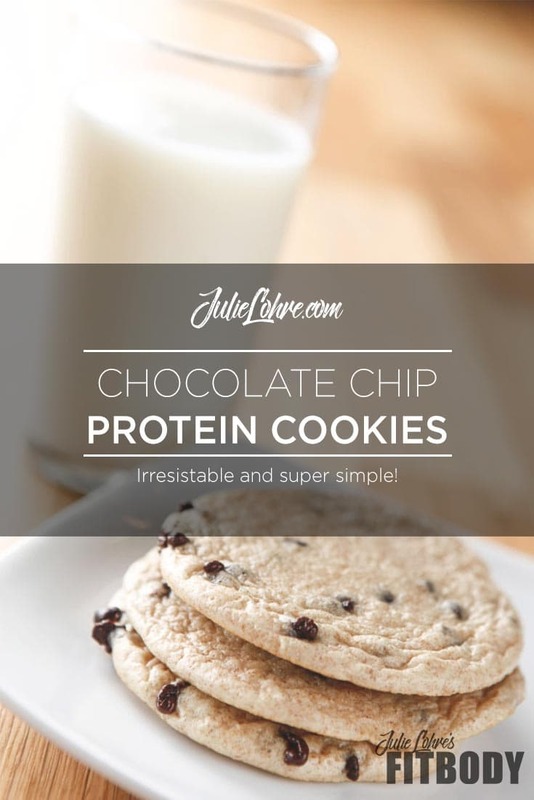 Protein cookies that are packed with chocolate chip amazingness and still work with IIFYM....dare I say even low carb or gluten free diets? This is hands down my favorite protein cookie recipe of all time. Ok, sure you are reading this and thinking healthy cookies, made with protein? How good can those be? Well, I am here to tell you. So good that you will pass up the best cupcakes... a double layered chocolate chip cake... even those famous Double Tree warm gooey cookies for this healthy treat. Seriously. They are that good. 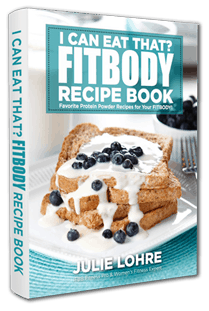 Best of all, this protein cookie recipe is deceptively simple and can easily be whipped up in your own kitchen. 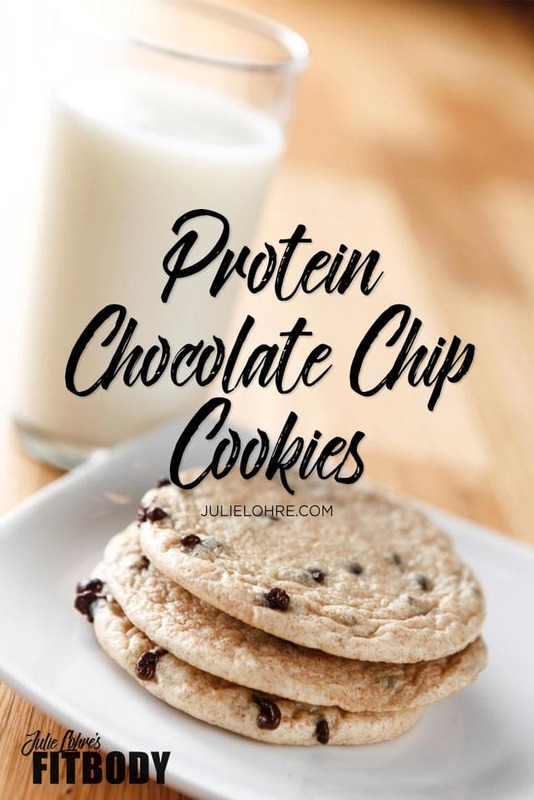 And while I love protein shakes made with my favorite vanilla whey protein powder, if I can get all of that protein packed goodness and well... eat cookies! You know I am going to do that every time. Each of these amazing chocolate chip goodies in this great recipe has 8 grams of protein with a low carb balance and a nice dose of healthy fats from the almond flour. With this amount of protein you will be building muscle while you are eating these yummy cookies. If you are looking for a gluten free cookie option, then opt for the oat flour instead of the whole wheat flour. Whatever the makeup, each of these treats will satisfy any cookie craving you might be having in no time — without completely sidelining your healthy eating habits . Mix dry ingredients together first, blend thoroughly and then add Egg Whites and water. Mix until it becomes the consistency of a thick batter. Spoon cookies onto baking sheet and bake for about 8-10 mins. I actually like mine to be a little gooey in the middle so I go with 7 mins. The last 2 mins are critical and these quickly go from being not done to fluffing up and being just right. The whole recipes makes about 4 large cookies.